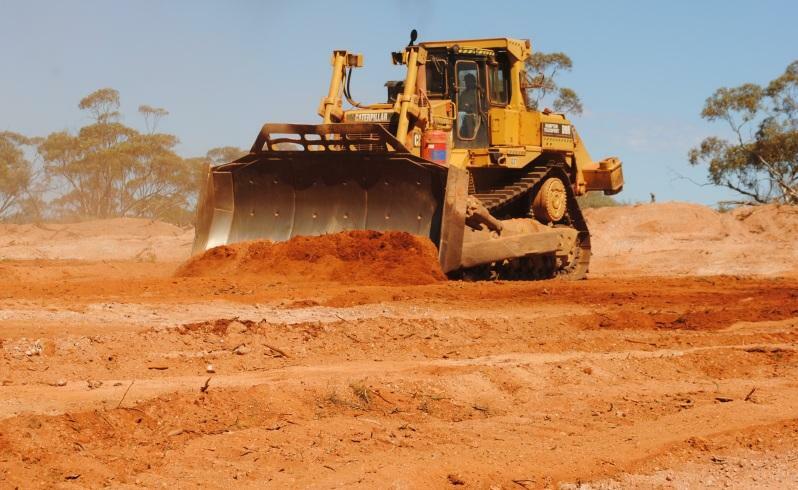 Gold miner Empire Resources (ASX: ERL) has appointed Stephen Rodgers to manage the company’s feasibility study into progressing the Penny’s Find open pit gold mine into an underground operation, which will extend its life by at least 10 years. Located 50km from Kalgoorlie-Boulder in Western Australia, the mine recently achieved several milestones including completion of its maiden processing campaign and receiving first cash flows. Last week, the company announced results from six-hold diamond drilling program at Penny’s Find underground extension, which revealed gold grading up to 15.60 grams per tonne. At the time, Empire Resources’ managing director David Sargeant said the results had given the company confidence to move ahead with its underground feasibility study. The current underground resource, which is due to be updated imminently, sits at 170,000 tonnes grading 5.40 grams per tonne of gold. The mineralisation extends 250m below surface and remains open at depth. Test work on the mineralisation has demonstrated it is free milling with an 85% high gravity recoverable gold component. Mr Rodgers has been brought in to manage the study, because, according to the company, he has “extensive experience in both open pit and underground mining projects”. He has also managed similar operations in Western Australia, South Australia and the Northern Territory and is familiar with Penny’s Find after supervising open pit commissioning and early production phases. In addition to managing the underground feasibility study, Mr Rogers will be responsible for securing the necessary mine approvals, collating documents for gaining project and mine expansion financing as well as preparing on-site infrastructure that will facilitate the progression from open pit to underground. Empire Resources anticipates the final feasibility study, along with the updated underground resource will be completed within the next few months. Open pit mining at Penny’s Find began in May this year, with the Empire Resources trucking 37,710 tonnes of ore to nearby Lakewood and Burbank processing plants. According to an existing feasibility study into the open pit operation, Empire Resources expects A$7.6 million in free cash flow for the first 12 months based on a A$1,500 per ounce gold price. However, this does not include an additional A$2 million in revenue for every A$100 per ounce over the A$1,500 per ounce price. At today’s spot gold price of A$1,672.90, Empire Resources is looking at quite a bit more revenue than the projected A$7.6 million base. Next Post Are you capitalising on your FIFO Opportunity?